Avoid the mess and waste of loose sugar when priming beer bottles. Just add these handy glucose tabs for accurate dosage of all size bottles. 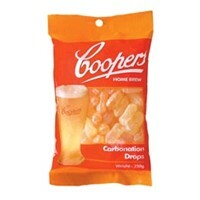 These carbonation drops give a cleaner flavour than household sugar.